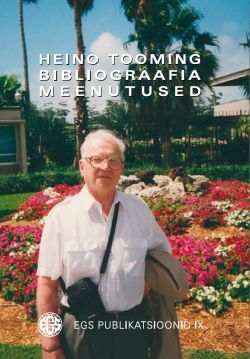 The publication presents a review of one of the best known Estonian geophysicists, Professor Heino Tooming´s work. Bibliography contains more than 600 entries, including books, edited collections of articles, scientific and popular-scientific articles, patents and manuscripts. The book is especially valuable because of numerous photographs and multilingual reminiscences of his friends and colleagues from three continets. The bibliography is also available digitally, which allows to complement it. Additions can be sent to address geograafiaselts@gmail.com.